Yumiko HAYAKAWA was born in Tokyo, Japan in 1975. She graduated from Seikei University in Japan, and the London School of Journalism in the UK. During her studies in London, she began her filmmaking career and in 2009, she completed her first documentary film, “Brian and Co. Parliament Square SW1”. With this film, she won the, “New Face Award 2009” from the Japanese Congress of Journalists. Her second film, “Goodbye UR – The Japanese Social Housing Crisis” won the, “Sky Perfect IDEHA Prize” from Yamagata International Documentary Film Festival 2011. Her films focus on various social issues and inequality in today’s Japan. She also organizes filmmaking workshops at alternative media centres and universities. 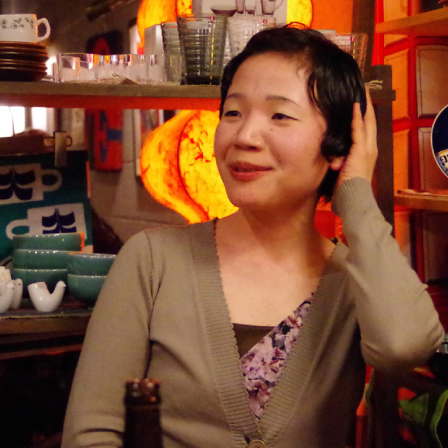 She is known as one of the most active independent documentary filmmakers in Japan.